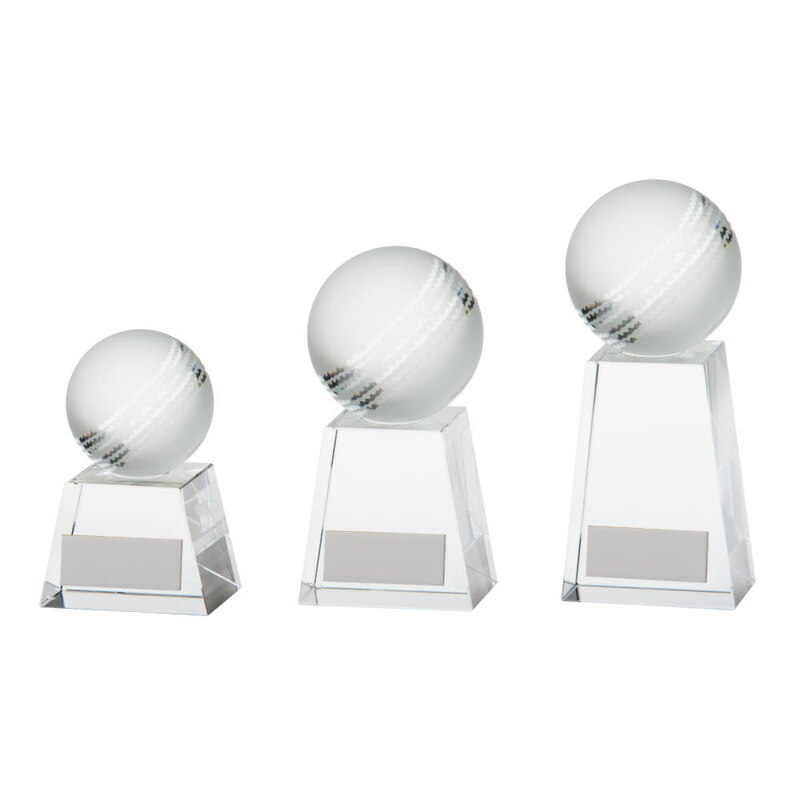 The Voyager Crystal Cricket Ball Trophy. 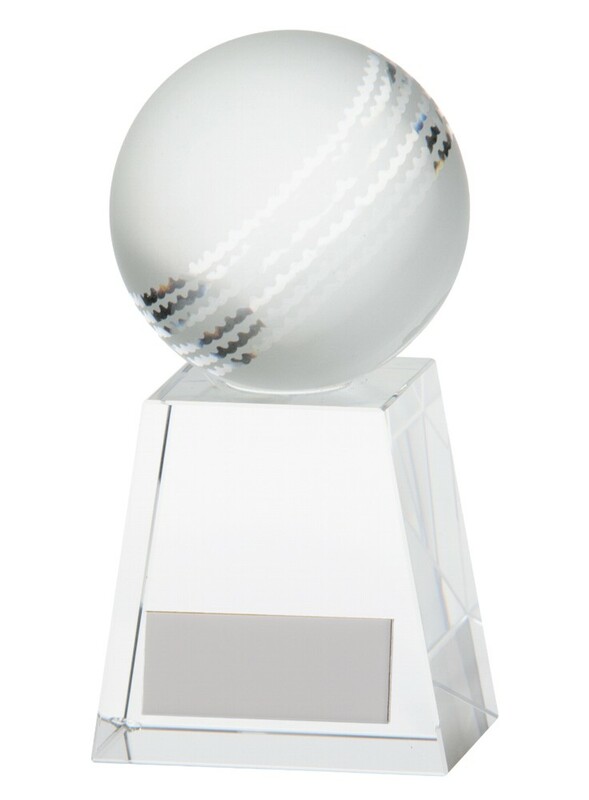 A 3D cricket ball on top of a solid crystal cut column. Available in 3 sizes, 95mm, 125mm and 145mm high. Complete in a presentation box.